Is the Shootout Bracelet the Easiest to Win? Before I go any further, let me make one thing perfectly clear. I respect everyone who’s made the final table of the $1,500 No-Limit Hold ’em Shootout. It’s a great accomplishment and one I’d be happy to emulate. 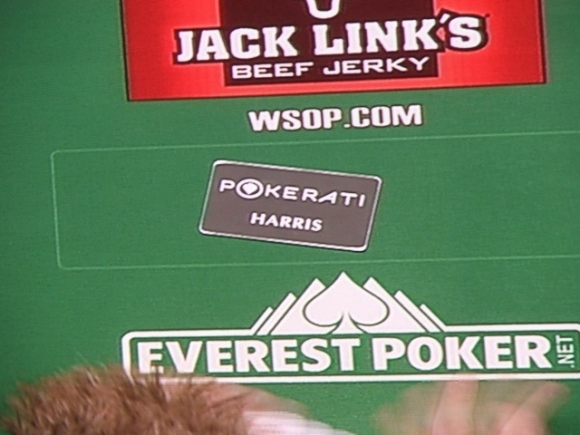 That said, my question is, couldn’t this be considered the easiest WSOP bracelet to win? Sure, it’s a tournament that started with 1,000 players, but the winner only has to defeat 26 of them to claim the prize. It’s not the same as a $1,500 donkament where you’re likely to see 1- or 200 different faces on your way to the final table, or even a 10K event where you may face 40 or 50 different opponents as tables break and shift. This is essentially three sit & gos. Tough? Sure. But compared to other tournaments? The $10,000 NL 2-7 Lowball World Championship just concluded with Nick Schulman eliminating Ville Wahlbeck in heads-up play to take down his first WSOP bracelet and $279,750. With six players left in the $1,500 NL Holdem Shootout, Jeffrey Carris is the current chip leader, with Andrew Margolis, Jason Somerville, Joseph Cutler, Brandon Wong and Christopher Moore the other players remaining. 64 players remain in the $2,500 Omaha 8/Stud 8 event, with 40 making the money. Phil Ivey is the current chip leader with 135,000. Others looking to avoid being quartered include: Chau Giang (70,000), Pat Pezzin (65,000), Blair Rodman (40,000), Bart Hanson (32,000) and Chip Jett (12,000). The $1,500 Limit Holdem event drew a field of 643, down 240 from last year. 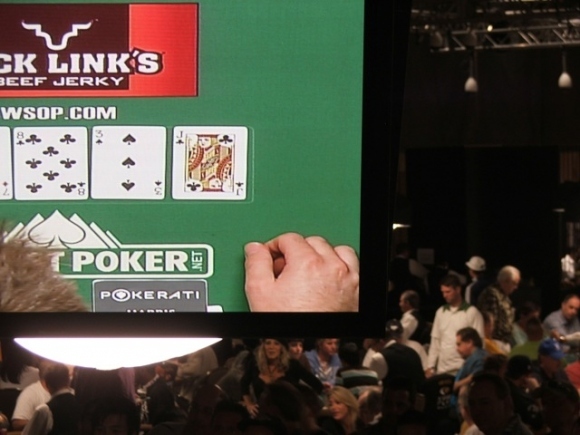 About 300 players remain when the players returned from their dinner break. The average stack is about 14 big bets, so the money may be reached (63 will make money) by the end of level 10 tonight. The debut of the $5,000 Pot Limit Omaha event saw a better than expected field of 198 players take their seats, of which only 18 will be paid. 22 of those who started have already gone from the tournament, with many more expected by the end of the eighth level. One of those players is Scotty Nguyen, still at zero on his goal of winning $4,000,000 at the WSOP or “retiring from poker”. 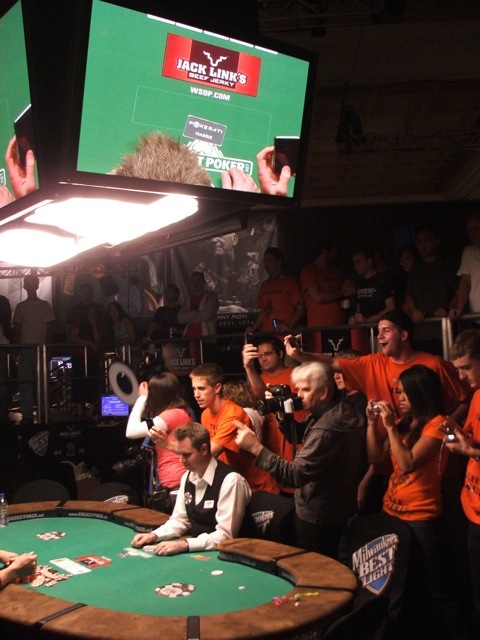 For more updates, check out www.wsop.com and Pokerati during the rest of your Friday evening. Shootouts – All About the Luck of the Draw? 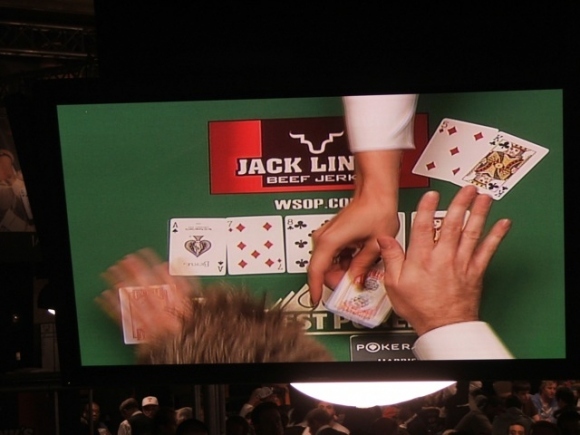 Watching the $1,500 No-Limit Hold ’em Shootout at the WSOP today brought up an interesting question; how much does the luck of the a player’s first round table draw factor into their chances of winning? Looking at today’s field, there were some tables that were obviously much more difficult than others. Of course, this is true in any tournament, but the structure of a shootout makes this more important in my opinion. Why? Because in a standard MTT, there’s a much better than average chance that you’ll change tables at least once on the first day, giving you a shot at facing some weaker players along the way. In a shootout though, you’re stuck with your table mates. If you’re a seasoned pro, this probably doesn’t matter as you’ve probably played with them already and know their games. As an amateur though, you may be seriously screwed if you end up with someone like Ivey on your left and Negreanu on your right. Does this mean I think shootouts are unfair for the casual player? Not at all. Just that they may be more difficult than you might expect. The $1,500 NL Holdem 6-max event is down to its final five players as they return from dinner break shortly. Joseph Serock is the chip leader, with Brock Parker looking to extend to 10 the number of years with someone winning two bracelets at the WSOP in second place. Russell Crane, Alex Wilson and Jesse Rios rounding out the field. Players in the $3,000 HORSE event returned from the dinner break with 80 players remaining, only 48 getting paid. Matt Hawrilenko is the leader with 160,000 in chips. Notables near the top include: Gavin Smith (100,000), David Singer (92,000), Ylon Schwartz (80,000), and Michael Watson (52,000). The $1,500 Pot-Limit Holdem event is down to 22 players, with Alexey Popov the chip leader (290,000) with Jason Dewitt (285,000), Blake Stepp (240,000), Erik Seidel (140,000) among the remaining players. The first day of the $1,500 NL Holdem Shootout event as the event has drawn to an early close as a sold out field of 1,000 players, 10 players seated at 100 tables with all tables completed. Among the players who move to Day 2 action: Luis Velador, Peter Jetten, Zelong Dong, Tony Cousineau, Joe Beevers, Theo Tran, Alex Bolotin, and Chris Klodnicki. Around 100 players registered for the $10,000 NL 2-7 Lowball Single Draw World Championship with Gus Hansen making his WSOP debut. It’s early in the proceedings but all the big names are in attendance including Team Pokerati’s Tom “DonkeyBomber” Schneider. Follow him on Twitter and maybe will provide an update during the evening on the site. Also, check out wsop.com for further updates during the evening. $1,500 Shootout Seats: Available Now! The $1,500 NLH-Shootout, which gets underway tomorrow/today (Wednesday) has been sold out for a while now, having reached its 1,000-player max. However, it’s not too late to get in if you happen to be at the Amazon now … as a fresh block of seats is about to open up. Play just wrapped for Day 1 of $3,000 HORSE … and 30-40 players who are moving on to Day 2 in that event were pre-registered for the Shootout, so now, many are discussing, most are planning to unregister before leaving the Rio for the night. Click here to follow Day 2 of HORSE (376 of 452 remaining). And here for Day 1 of NLH-SH.